Does Dark Helmet take things too literally? Probably so, but his foolishness awards the rest of us when his men are forced to “Comb The Desert,” which happens to be one of the year’s funniest beer names. 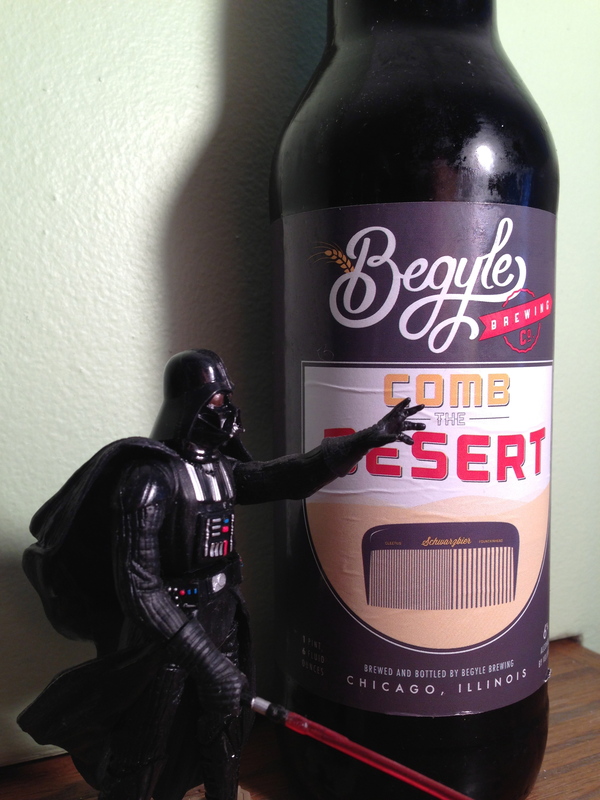 Comb The Desert is a German inspired Schwarzbier brewed by Begyle Brewing with Cleetus Friedman of Fountainhead. An addition of citrus adds a slight twist to this classic style. If asked if you can find it, “We ain’t found sh*t!” may be an adequate response. Let’s see what I can find with my hair pick. 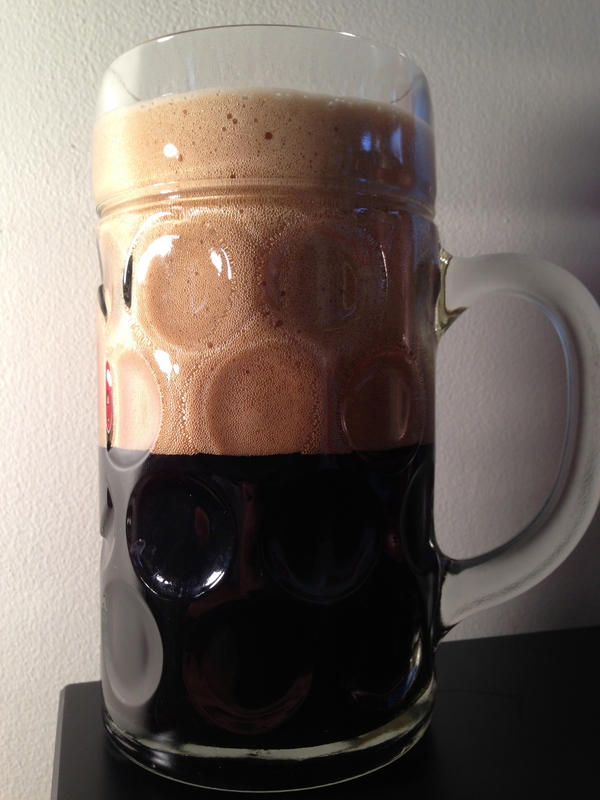 A giant mocha hued thick head vigorously forms upon pouring into my one liter stein. The beer itself is jet black, capturing any light particles brave enough to journey through, as lost as finding the princess in the desert. Like fragments of sand in the wind, the aromatics attack my nostrils with notes of rich anise, darkly roasted Ethiopian coffee beans, dark chocolate, and a slight presence of that familiar lager sulfur, a trinket as important as your Hot Air industrial strength hair dryer. Upon sipping, robust roast notes invade your palate, containing flavors of coffee and bitter cocoa as forecasted by your nose. This medium-bodied intensity comes to a screeching, post-ludicrous speed, halt when your palate is dried out by bitter orange peel. Upon leaving your palate withered and dry, a mirage of walnuts can be seen in the distance, seducing you into another sip. Begyle has been on a hot streak lately, voted best new brewery by Chicago Magazine, featured on the cover of Beer Advocate, and currently under expansion construction at their brewery. Comb The Desert is a great peek into their success and should be seaked out immediately. The power of the Schwartz is with them. beer, Begyle, Chicago, craft beer, fountainhead, local beer, nano brew, schwarzbier. Bookmark.